The workings of Class 24s in 1976, 77 and 78 occupied much of my attention, as the rest of this website testifies. Here are some more shots of the Type 2s at their (and my) frequent weekend haunt. 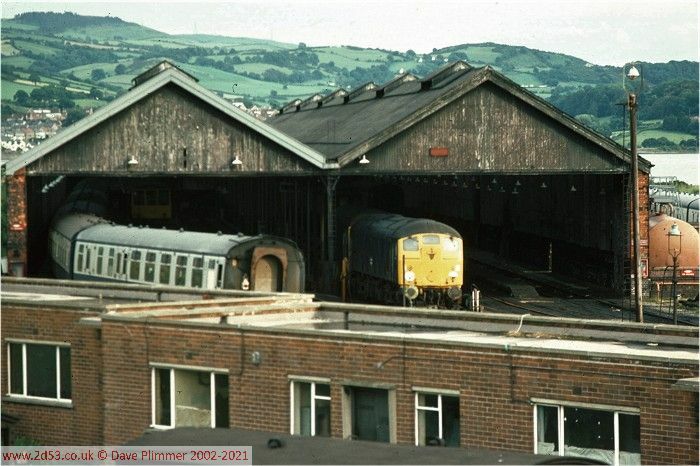 The classic view of the shed at Llandudno Junction, taken from the opening window at the end of the footbridge. 24073 and 24057 rest after working a railtour to Blaenau Ffestiniog and return, on Saturday 25th June 1977. 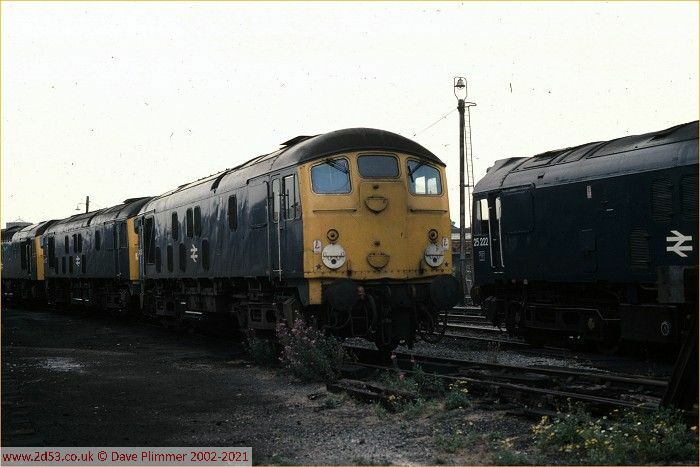 On the 20th August 1977, 5 type 2 locos were stabled at Llandudno Junction. Seen here are 24063 with 24073 behind and 25222 to the right. 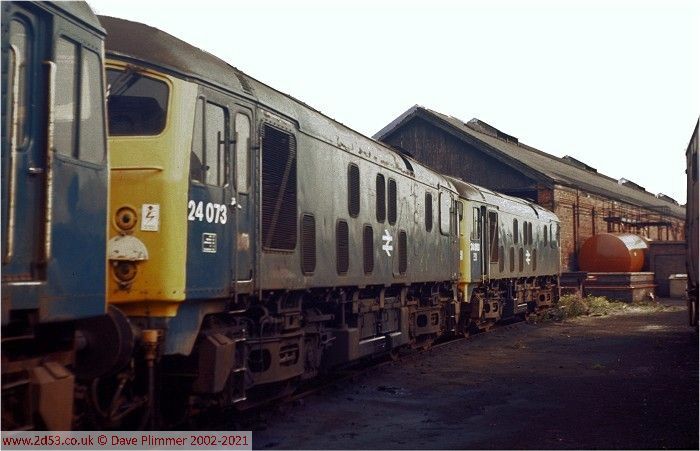 Two years later, 24063 was the penultimate Class 24 to be withdrawn, after an accident at Bidston Dock - not the only incident at that location that led to 24s being withdrawn. And here is a view of the footbridge window mentioned above. 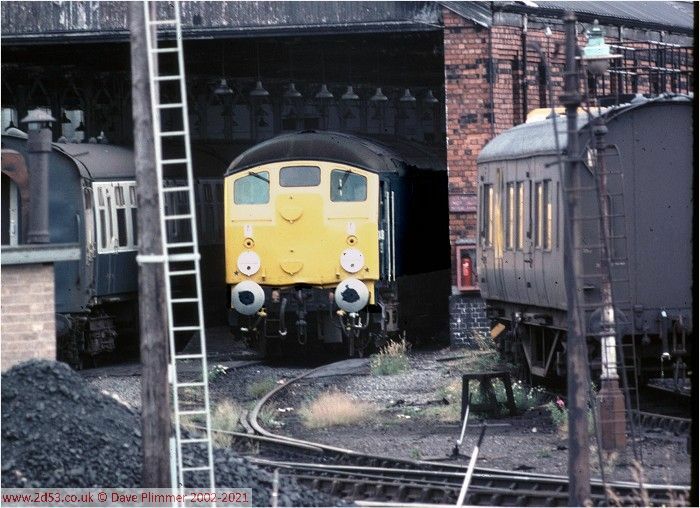 24091 is in the shed sidings on Saturday 20th August 1977. Also present was 24073, with its characteristic half-missing disc, with 24063 behind. 25% of the entire Class 24 fleet was present here on this day. 20th August 1977. 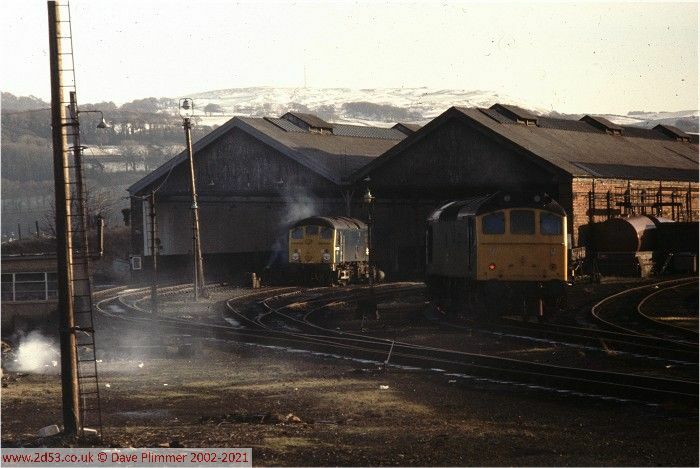 An atmospheric scene at Llandudno Junction as 24082 stands on shed amidst the smoke of small fires burning on a bitterly cold January 5th 1978. 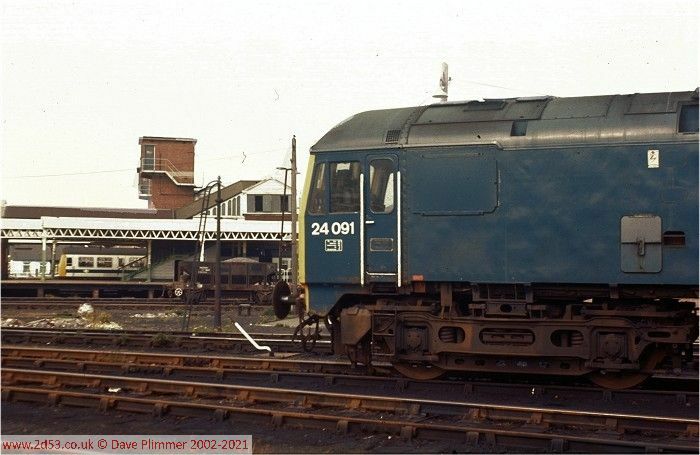 24081 on shed on 1st August 1979. Change the colour of the engine and carriage, and this view with its coal heap and gas lamp could have been taken 20 years earlier.